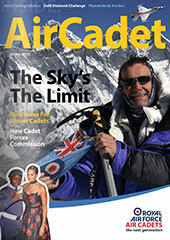 We are a organisation supported by the RAF, with regular activities that should appeal to most 13 to 20 year olds. Meeting nights are held on a Monday from 7.00pm to approximately 9.30pm. All are welcome! Please contact us, you can also come along and see us on our meeting nights.